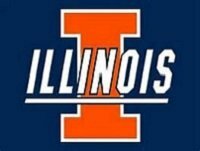 This article is a reprint from a 2017 interview with MatchStar CEO Tim Tonella and the University of Illinois English Department. The UofI Alumni Mentoring Network looks for advocates who share the philosophy that a variety of educational paths still exist today for business success. Although Tim studied both English and Math at the university prior to getting an M.B.A, he frequently comments on the amazing stories of entrepreneurs, tech founders, and MatchStar clients who did not have technical undergraduate degrees before starting their own incredible companies. MatchStar Venture Search announced today the successful placement of Biju Nair as CTO for Texas based eRecyclingCorps, a leading provider of carrier-grade wireless device trade-in solutions. eRC has raised over $300m in venture capital from such prestigious firms as Kleiner Perkins, RRE Ventures, and NGEN Partners, and recently completed a $105m Series C round. Mr. Nair is the former Chief Strategy Officer for Synchronoss Technologies and brings over 20 years of entrepreneurial leadership, including shaping today’s wireless software industry. MatchStar and renown Napa Valley vineyard Tres Sabores will be holding its first Wine4Words tech networking event to support children with hearing and speech disabilities. Expect exceptional organic wines, great food, family entertainment (including ping pong tournaments, petty zoo, and art classes for kids), along with music, a winery tour, and silent auction. Comes join us for an exceptional day, great company, and a worthy cause.